I know that I am supposed to begin my journey into the book of Proverbs, but I feel that i must dwell on this topic for just one more post. Yesterday after church we went to lunch with my parents. My mother told something that caused my mind to be filled with wonder at how good our God is. He truly is wonderful. If you have not read my post from Saturday, you may want to before you read this. (ill make it easier for you..here it is) Saturday night I rolled around in bed for a good while..i was scared that my blunt honesty in that days post might have upset my family..i mean, i was talking about my mother’s grandfather. I know that they agree 100% with the post..it is because of how they raised me that I feel so much passion about the subject..but, still to see in writing that your grandfather may be in hell is not an easy pill to swallow. Thankfully, she was not upset by my unwillingness to censor my tongue and yesterday at lunch my mother shared something with me for the first time. My great grandfather was born in Pickens County, South Carolina in 1912. He lived a hard life and raised his family through the heart of the great depression. He worked his fingers to the bone in the cotton fields and continued to work hard until the day he died. What ultimately caused his death was pneumonia , however what caused his ordeal to begin was, while burning trash in his front yard, he caught himself on fire..a 91 year old man out burning trash..like I said, he was a hard worker until the day he passed. He was flown to the burn center in Augusta, Georgia. Even in his critical state, he managed to pitch a huge fit when he found out who his nurse was going to be. The things he yelled at that kind woman I dont even want to know.. just because of her skin color she had to endure such pain from the mouth of my great grandfather. 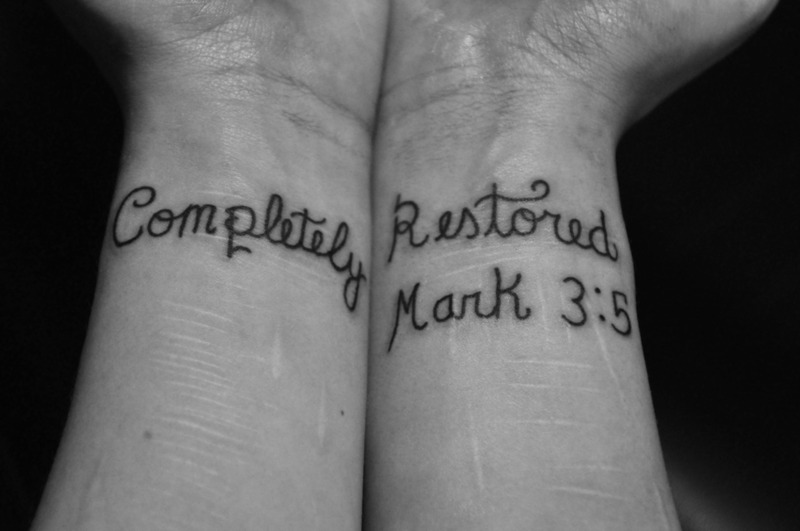 Nonetheless, the outcome of this story is beautiful..our God is beautiful. I wish I knew her name..but I dont. What I do know about her is that she was a steadfast christian lady who showed my great grandfather great love. Week in and week out she nursed my great grandfather back to health and loved him the whole time. After his skin graphs he was able to go home. Once he got home, sitting in his living room..sitting in that same old blue chair that as a child I always remember seeing him in..that same chair that he had spoken such hateful things from for all those years..as he was sitting there, tears began to fall down his weathered face. He cried out to God..he told him to please let him see that nurse again so he could tell her that he was sorry. He cried out to God in repentance.. telling him that all these years he had been wrong. A few days later, God answered his prayers. He came down with pneumonia and his skin graphs began to show problems.. he had to go back to the hospital, this time he would never leave there alive. He would, however, get to ask that sweet nurse for forgiveness.. to tell her that he had been wrong. in a previous post, the beauty that pain can bring, I talked about how wonderful our God is and that even if his plan for us is painful we still need to pray through it and seek the beauty that lingers silently behind our struggles. I wonder if that beautiful nurse knows how much God worked through her..i wonder if she knows that, besides the blood Jesus shed on Calvary, she is the reason that my great grandfather made it to heaven. I cant begin to imagine the pain that she felt as my great grandfather cast upon her soul fiery arrows of hate just because God created her with a different skin color than him. I cant imagine how much she probably dreaded going into work because of it all..but praise the Lord for her! She prayed through it..she walked in there day after day and shared nothing but the love of Jesus with him. She WAS Jesus. 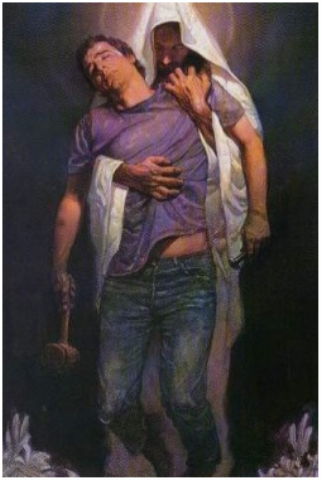 “Father, forgive them for they know not what they do”…these were some of the last words that our savior cried out from the cross..from that place of pain and abandonment. Almost everyone had turned their back on Jesus but still he prayed for them..he loved them, and it is because of that love that any of us can make it to heaven. That nurse suffered through persecution but never did she stop praying and loving my great grandfather. The pain that my great grandfather endured those last few weeks, im sure, was something that very few of us know. Its hard to see much beauty when you think of an old man being burnt to death..even though, it was this exact situation that saved him from an eternity of fire. God in his MERCY, allowed him to go through such a terrible ordeal because God loved him..God knew that it would take such a painful end for my great greatfather’s hardened heart to be changed. I wish so badly that I could send this to that nurse..i want her to know how grateful my family is for what she did. Her pain..my great grandfather’s pain..from out of it all such beautiful grace flows. I cant wait for her to make it to heaven..i know that when that day comes my great grandfather will be waiting for her. He will see no color..he will only see her as a beautiful child of God..the woman that, through her pain, forgave him and led his heart to heaven. In closing, may I just say that it is my prayer..my never ending hope for the church…that we all begin to see one another as beautiful children of God. We cannot wait until our heavenly eyes make this change..because without making this change on our own, i am afraid to say that heaven probably will not be an option. Posted in God is Love, my thoughts on true christianity, what's wrong with this world!